Managing Complexity And Difficult Customers Communication & Interpersonal Skills. Adapt to specific customer behavior style. Use techniques for dealing with angry or upset customer. Develop personal action plan to improve customer service skills. Establish the standards and systems that can make every customer feel special – face-to- face, by email or on the telephone. Make a composed and confident first impression on each and every contact. Use personal skills for listening effectively and to enhance understanding. Identify different customer needs and situations. Deal with complex or multi-stage technical problems more effectively. Understand customer expectations and deliver more than you promise. Maintain a positive attitude throughout the day and make every contact appear your most important. Satisfy complainers, calm upset customers and regain confidence and goodwill. Mastering High Impact Presentation Skills Communication & Interpersonal Skills. 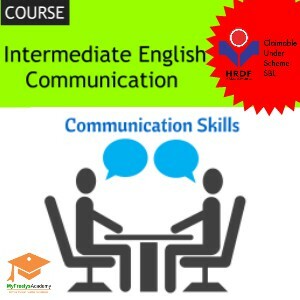 Masters Of Negotiation & Influence Communication & Interpersonal Skills. Most people assume that negotiation skills are only for sales experts or a real estate agent. However, negotiation is one of the most crucial skills anyone can learn and if you are able to master it, you can be assured of greater success in every aspect of your work and life. Whether you are a business executive, a salesperson, an entrepreneur, a purchaser or even a politician, negotiation is a skill that enables you to build relationships by finding the real needs of both party through the use of active listening, questioning, integrity, observation and empathy. This programme is designed for those who are serious in developing these vital skills to negotiate with the colleagues, subordinates, superiors, partners, clients and suppliers. Non-Negotiator’s Negotiation Communication & Interpersonal Skills. This is a program that allows you to strengthen your negotiation skills in different situations. Negotiation is all about getting others to buy your opinion and we don’t mean it is sales alone. It could be situations where you want to influence your supplier or your colleagues to buy your ideas and suggestions or removing yourself from an unpleasant situation. This stimulating program will maximize understanding and learning through Multimedia Presentation, Hands-on Demo, Personal Reflection, Role Playing and Q&A Session. Closing Negotiations – When And How? On The Job Business Writing Communication & Interpersonal Skills. Writing is a key method of communication for most people and it’s one that many people struggle with. Does writing come naturally to you or do you hesitate, stumble and lose time trying to put your thoughts together? Think about the people who read your documents – are you convinced they are getting the intended message? Poorly written communication can damage your organization’s image and lose your business. This program is a writing refresher as well to help you in enhancing this relevant skill with techniques and practice sessions. This program is suitable for executives, supervisors and managers. This stimulating program will maximize the understanding and learning through 40% lecture, 60% practice assignments, pre-training and post-training assessments, highly interactive, pairs and group assignments, and live email assignment and discussions (Wi-Fi connection required). Page View Only Message – Don’t Make Me Scroll! P.O.W.E.R Pack Presentation Skill – Presenting Your Way To Success Communication & Interpersonal Skills. A lot of us have in depth knowledge and experience in our field, but only some are able to present the subject matter impressively. In reality, great presenters are perceived as great leaders who have the right set of attributes to make their way to success. The goal of this program is to bring out the great presenter in each individual, ultimately bringing out the leader in you. The program is designed and delivered for maximum learning in an interactive and fun way. Power Phone Image At Front Desk Communication & Interpersonal Skills. In the service industry, apart from face-to-face encounter, the next important first impression of your business is via an initial phone call that comes through the front desk. The first word projected by your front liner does dramatically impact a customer’s perception of your employee’s skills and overall performance. This program is suitable for all front desk personnel and administrative personnel. This is a highly interactive training programme and participants are learning through practical practices through video tape simulation and hands-on experiential learning activities. Present Like Steve Job Communication & Interpersonal Skills, Program Training. Regarded by many as one of the best presenters who ever lived, Steve Jobs was a master of the stage. His keynote addresses energized audiences and were so effective, Apple hardly had to spend any money on advertising, relying more on the favorable press it received due in no small part to the magic Jobs performed at the launches of key products and services. This training is different than any other presentation skills training not only because of the Steve Jobs element, but because it addresses the number one issue for all presenters right at the beginning. “Anxiety”. Being anxious about speaking leads to many costly outcomes. Beyond the negatives associated with apprehension, such as embarrassment and inability to focus, speaking anxiety not only causes you to present poorer speeches, but you’re also likely to write poorer speeches too. Second, people who appear nervous are often judged as being deceptive or unprepared because the many behavioral cues associated with nervousness—voiding eye contact, stumbling over words, etc. are also linked to lying or not being ready. Third, being nervous reduces your ability to think clearly, to make effective decisions, and to respond to your audience’s reactions. By combining an analysis of Jobs’ many presentations, his personal experience of training and personal coaching of various entrepreneurs and CEOs in their public speaking skills, this training will help you make your next presentation INSANELY great. This program will benefit executives, managers and leaders who have some prior public speaking and presentation skills training or experience. It is particularly useful for executives who speak in front of groups, sales people and anyone who meets the press.